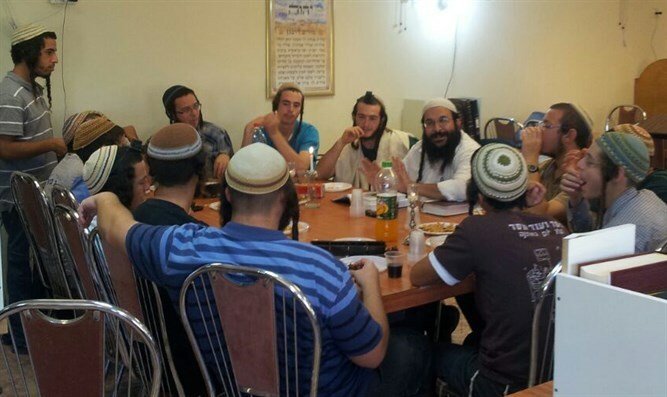 Rabbi Raziel Shevach studied and taught at the Ro'eh Yisrael Yeshiva in Yitzhar. The head of the yeshiva eulogizes him. Rabbi Raziel Shevach, who was murdered on Tuesday evening in a shooting attack near Havat Gilad in Samaria, studied and taught in the Ro'eh Yisrael Yeshiva in Yitzhar in recent years, during which he passed the rabbinical ordination exams while also undergoing training to be a ritual slaughterer and a mohel. His friend Yehoshua Gelbard, the director of the Ro'eh Yisrael Yeshiva, eulogized Rabbi Raziel. "During the exams for the rabbinate, he stayed at the yeshiva and studied steadily all week until the small hours of the night. Alongside the Torah study he was a good friend and a man of action who naturally volunteered to save lives as part of Magen David Adom and also volunteered in Hevra Kadisha. This loss is inconceivable," Gelbard added. "This is a difficult evening but we will not give up and we will not weaken. We will continue to cling to the Holy Land with devotion. May God avenge his blood and send us all solace," Smotrich added. Magen David Adom (MDA) Director-General Eli Bin also spoke about Rabbi Shevach who was a volunteer paramedic in the organization. "The MDA family is bowing its head today, following the murder of the organization's volunteer Raziel Shevach, a devoted husband and father of six children, who also wore the organization's coat at the time of the incident - always ready to provide assistance,” said Bin. "This is a very serious incident, which reminds us of the need for high availability of Magen David Adom ambulances in Judea and Samaria, but unfortunately we must mention that in about two weeks MDA will have to cease its activities in the region. I ask the prime minister to intervene and implement the government's decision regarding the funding of emergency medical services in Judea and Samaria," he added.